BEIJING, Sept. 6--Chinese President Xi Jinping on Thursday met with Lesotho's Prime Minister Motsoahae Thomas Thabane after the 2018 Beijing Summit of the Forum on China-Africa Cooperation (FOCAC) concluded Tuesday. China and Lesotho are good friends and good partners, and their bilateral relations set a fine example of mutual respect and equal coordination regardless of the size of countries, Xi said. China appreciates that Lesotho adheres to the one-China principle, and is willing to work with Lesotho to continuously deepen friendly cooperation with mutual benefits, the president said. He noted that China is ready to strengthen communication between the two countries' governments, political parties, legislatures, and all circles of society. Meanwhile, Xi called for continuing to understand and support each other on issues of mutual core interests and major concerns, improving communication and coordination on international and regional affairs, and safeguarding their and developing nations' common interests, to better benefit the two countries' people. 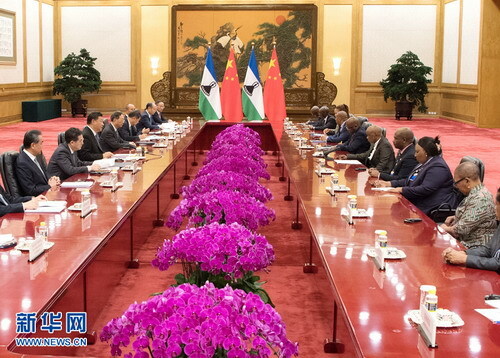 Thabane congratulated China on the success of the summit, saying the historic outcomes will benefit the African people and set the direction for the future development of the FOCAC. Noting that Africa and China have similar historical experiences, Thabane said China has never colonized, invaded or exploited Africa but has always sympathized with, supported and helped Africa. China is a friend with sincerity, affinity, and good faith that is focused on practical results, he said. Lesotho commends the eight major initiatives proposed by the Chinese side, which are expected to give a huge impetus to Africa-China cooperation, according to Thabane. Thabane said his country admires China's achievements in reform and opening up, stressing that China has found a development path suitable for national conditions, which has boosted African countries' confidence in achieving development. 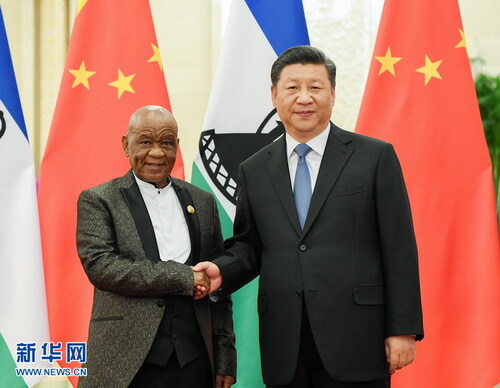 Lesotho will continue to abide by the one-China principle, deepen cooperation with China, and strengthen their communication and coordination on international affairs, said Thabane.